Permit-The Holy Grail of saltwater fly fishing. These fish test your skills, your wit and your will. With great numbers of permit traveling the waters that surround our lodge you will likely have multiple shots and see multiple schools….in a single day! However don’t think that it will be easy; they are still permit after all. Tarpon-Well known as a tarpon fishery, our lodge sits in the middle of prime tarpon waters. Many of the docks nearby have tarpon roaming them day and night. With fish in the 20-50 pound range frequently roaming the flats and channels and adult fish in the 50 to 100 pound range migrating through the area during the summer. Bonefish-The bread and butter of the flats. This is how you prepare for the big leagues. Even though they are the easiest to catch, our bones will still challenge the seasoned angler. Many shots at schools as well as tailers ensure that nearly everyone can get their fill of bonefish here at Blue Bonefish. If you want a challenge, search out the big singles and doubles cruising the edges of flats. We definitely offer world class bone fishing here in San Pedro. Catching all three of these elusive flats fish in the same day is known as a “Grand Slam”. The ultimate goal of the saltwater fly fisher. In many areas, this would be a once in a lifetime event. Here at the Blue Bonefish, we see a guest or two accomplish this great honor almost weekly. 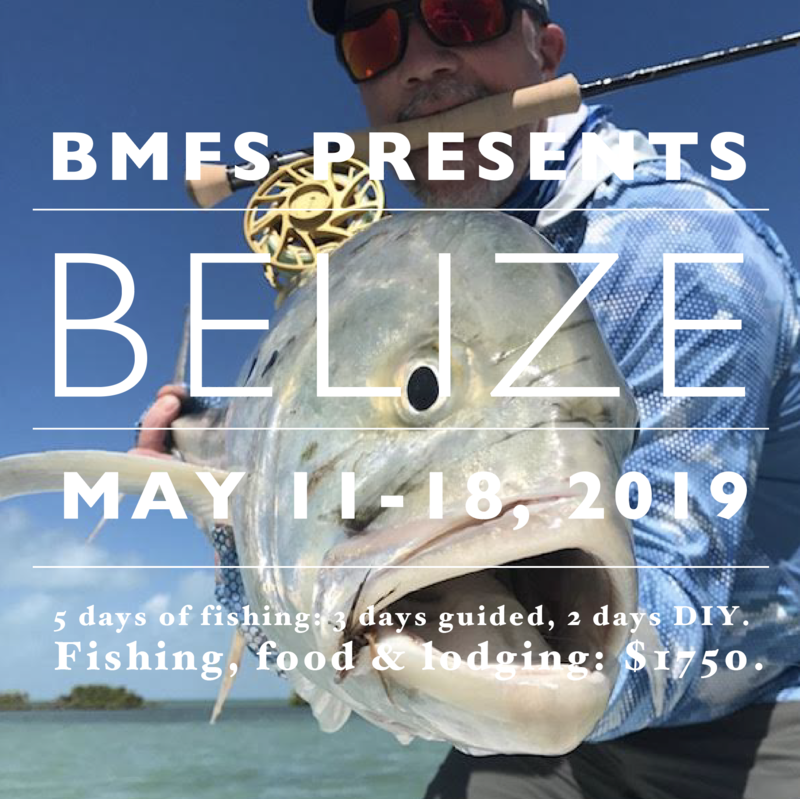 The price for this trip is $1750 and includes fishing, lodging and food. You are responsible for travel costs (we are looking into group booking tickets for easy and affordability) and tipping. To reserve your spot or if you have questions, please call Bob Mitchell’s Fly Shop: (651)-770-5854.